Delivered as part of our Lean RCM programmes this award will qualify candidates to an externally recognised standard of achievement. The award is split into 5 key units, all delivered and assessed by EMS Cognito. Each candidate will need to successfully pass each unit assessment to achieve each level certificate and proceed to the next level of the award. 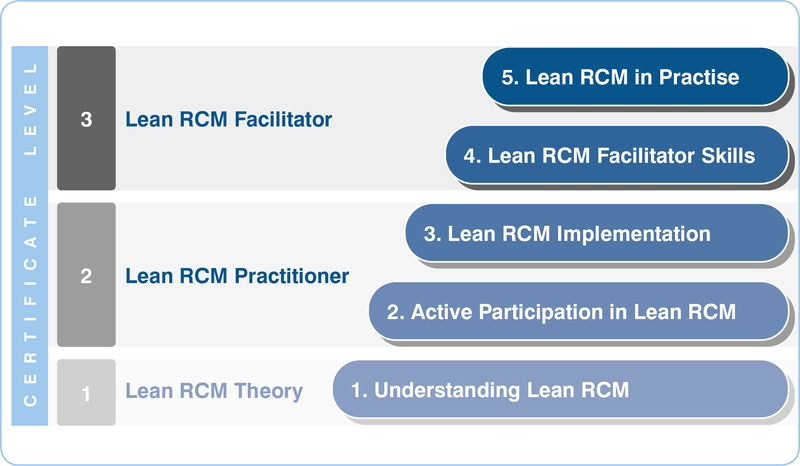 For more information on the delivery of the Lean RCM qualification click here.